Search Dog's Raven tells the Eerie Story of a Wilderness Search Dog Team. 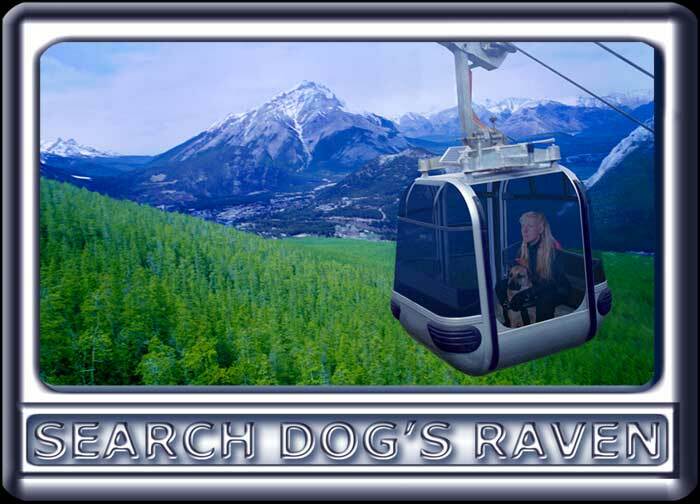 Taking a short cut to their next search, Mikella and her search dog Ebbey ride the gondola. attractions, the Banff Gondola is the country's only bi-cable gondola. was emotionally exhausted. Even dogs have to be careful what they wish for.